Jimmy Shergill is itching to work with Tabu again. Preity Zinta's first impression about Moscow has been rather unpleasant. "Bigg Boss 5" is set to get its second male participant in Amar Upadhyay. Kalki, who teamed up with Prateik in My Friend Pinto, finds him spontaneous. Bipasha Basu says she had a blast in Greek island Mykonos. Veteran actor Anupam Kher says he will receive the Kalidas Samman. Shah Rukh Khan talks about his experience of shooting KBC with Big B. 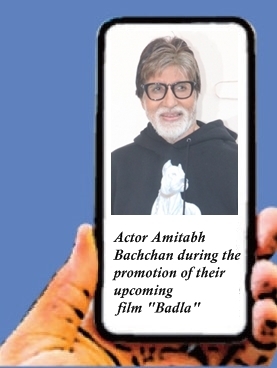 What's Big B's role in 'RA.One'? Amitabh will introduce the "RA.One" game with a voiceover in SRK's movie.